Is mtn files still supports in Cubism3? Sorry, mtn files aren't supported. If you export animations with the Cubism 3.0 Editor, you'll end up with '*.motion3.json' files. If you drag them into Unity, they'll be automatically converted into AnimationClips and ready for use. Now Cubism 3 support mtn. file. 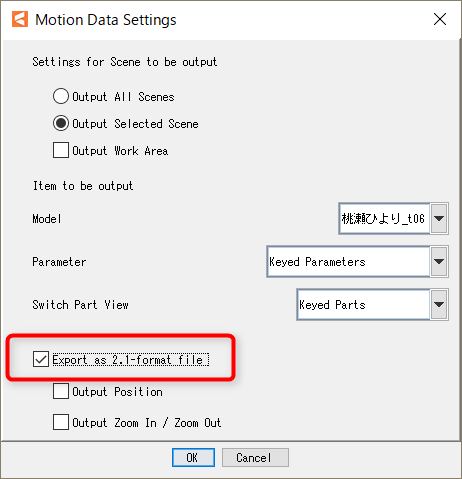 By selecting "export as 2.1 format file (mtn)" in "motion data settings" mtn file will be exported.